Long and shiny nails are every lady’s beauty goals. Every Kardashian has them and flaunts them. No one would deny that it takes a lot of effort and patience to achieve long and lustrous nails, especially when you have a big day approaching. But all it takes is a little stub and less than a second for your nails to snap. You may want to rush to the drug store to stock up on multivitamins and other useless supplements, hoping to grow them back in time. But it’s time to pop the bubble. You can't hurry your nails, which grow at a fixed rate of about 1 millimeter a month. However, you can surely strengthen and nourish them to prevent breaking and chipping. With dedication, patience and some extra TLC, you can grow your nails long and strong within a month. To make this possible, you don’t even need to step out of your home. Your pantry is already stocked with many ingredients that can nourish your nails and cuticles and promote nail growth. 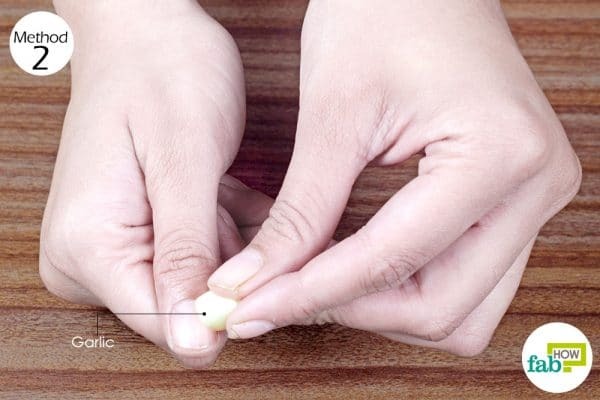 To get you started with your nail care regimen, read on and learn six easy home remedies to grow your nails long and strong. Olive oil has been a global sensation for its numerous health and beauty benefits. Being rich in vitamins E and K, olive oil helps strengthen and moisturize nails and cuticles. It is also antibacterial and antifungal, which helps keep nail problems at bay. 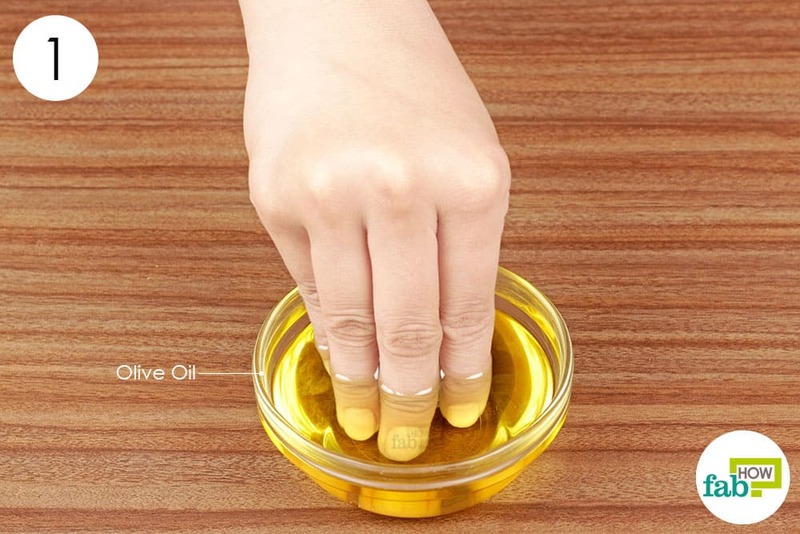 Olive oil imparts a natural luster to your nails and can also be used to dry your nail paint faster. Plain old olive oil can be used alone to massage and soak your nails daily to make them strong and long. Pour some olive oil into a bowl and microwave it for a few seconds. After checking that it is comfortably warm, dip your nails in the oil and let them soak for 15 to 20 minutes. Massage the oil onto your nails and cuticles in small, circular motions for 1 to 2 minutes. Repeat daily to keep your nails healthy and prevent chipping. You will start getting positive results in 2 to 3 weeks. 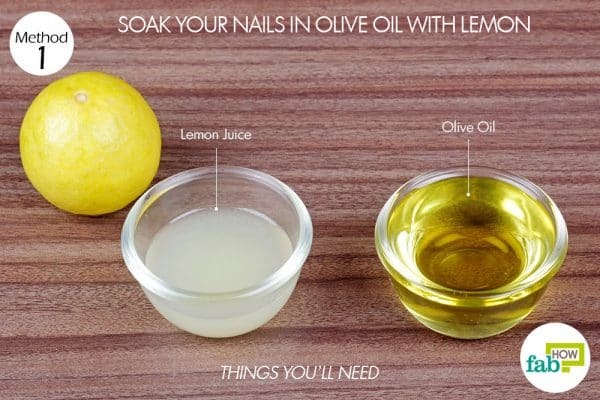 You can also add lemon to olive oil and use it as a nail soak. While the olive oil moisturizes and strengthens nails, lemon helps whiten yellow and dull nails. Lemon is also rich in vitamin C that also promotes nail growth. 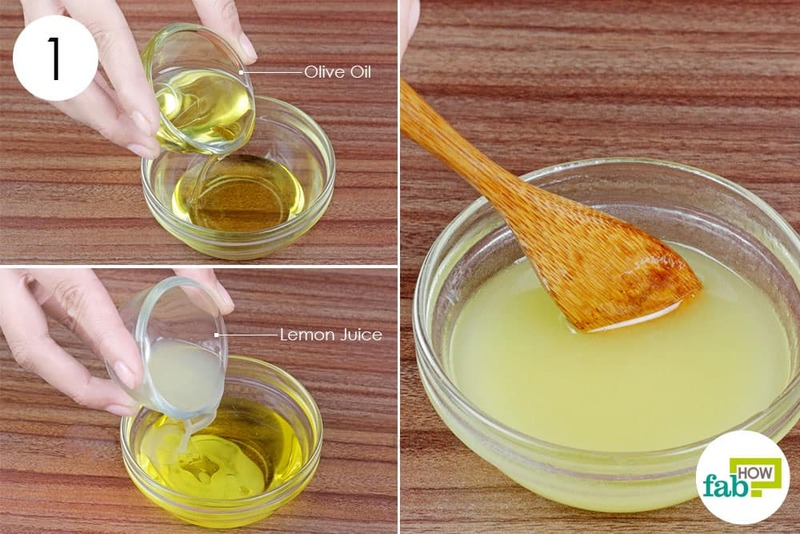 Pour 2 tablespoons of olive oil into a bowl. Add in 1 tablespoon of fresh lemon juice. Dunk your nails in the oil and lemon mix for 10 to 15 minutes. Use this treatment twice a week for 3 weeks to get healthy and long nails. Your body needs selenium in order to use iodine, which is necessary for the growth and development of every part of your body. Lack of selenium also leads to slower nail growth. This is when garlic comes into the picture. Garlic is naturally rich in selenium, which when rubbed on your nails can promote growth. Garlic is also antibacterial and antifungal, thus it also protects your nails from infections. Peel off the skin and slice a garlic clove in half. Rub the garlic over your nails. Wait 1 hour, then rinse your nails with water. You can also rub some lemon juice on your nails if you can’t stand the garlic smell. Repeat this remedy twice a week to grow your nails long and strong in a month. It goes without saying that vitamins and mineral are essential for your well-being. They are also essential for healthy hair, skin and nails. 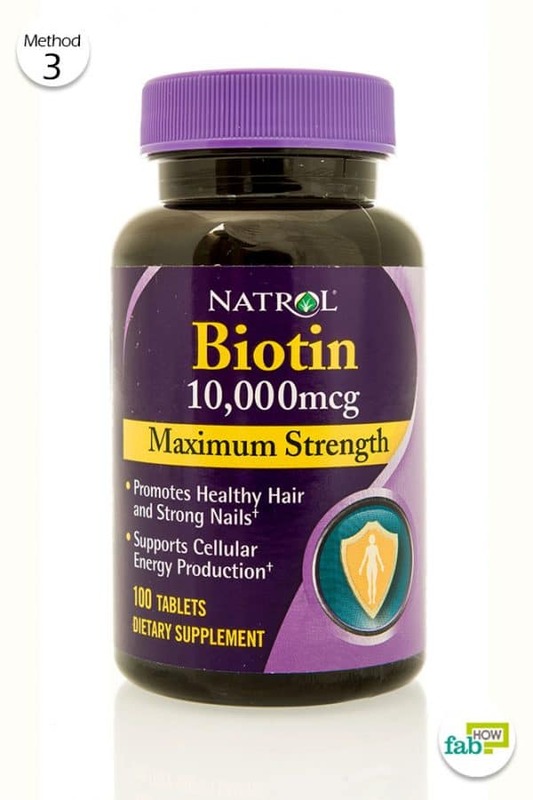 A slow rate of nail growth is often linked to the deficiency of biotin. Biotin is a water-soluble B-complex vitamin that is essential for metabolizing your food into energy. It is also needed to promote healthy hair and nail growth. Naturally, biotin can be found in eggs, liver, avocados, cheese, Swiss chard, fish, legumes and mushrooms. However, you need a higher dose to promote fast nail growth. It’s best to consult your doctor before taking supplement. Take 1 tablet of 2.5 mg of biotin every day. Drink plenty of water to prevent skin breakouts, which can be a side effect of taking biotin supplements. You should see positive results after 4 to 5 weeks. Coconut oil contains essential fatty acids and other nutrients that help achieve healthy and shiny hair and nails. It is also a powerful remedy to cure fungal infections in nails. You can use the oil alone or increase its potency by adding honey, which draws in moisture, and essential oils to aid in repairing your nails. 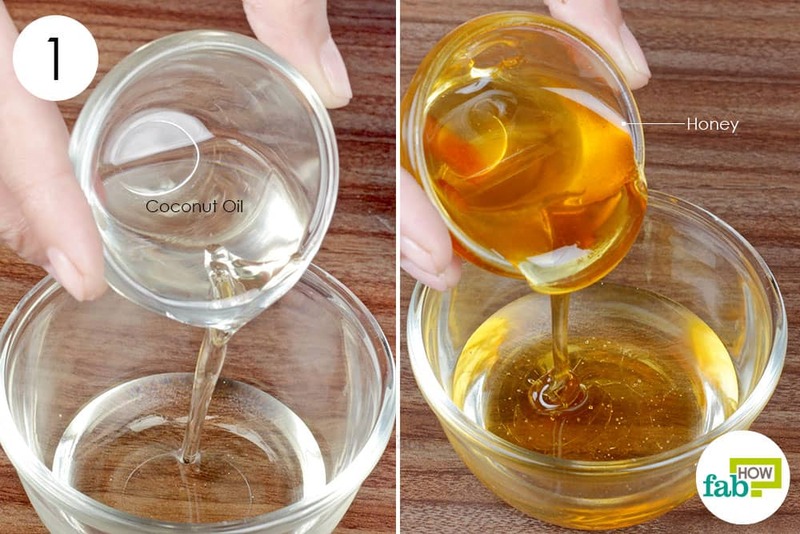 Pour 2 tablespoons of organic coconut oil in a bowl. Add in 2 tablespoons of raw honey. 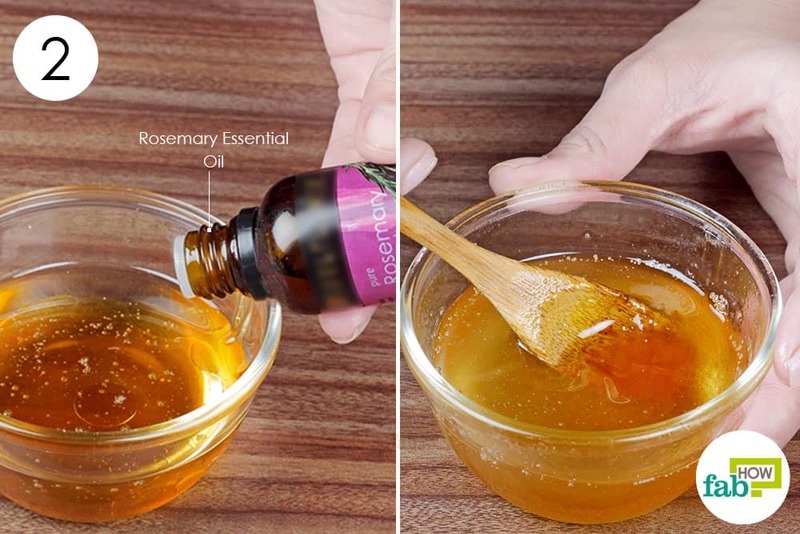 Add 4 drops of rosemary essential oil. Dip your nails in the mix for 15 minutes and let the ingredients work on your nails. Do it once a week to see positive results in 4 to 5 weeks. 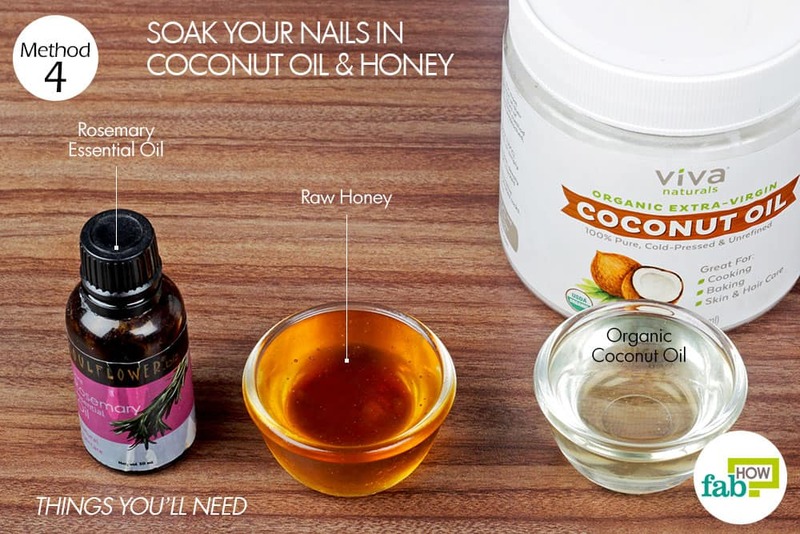 You can also massage your nails with plain coconut oil before going to sleep to give your nails some extra TLC. Oranges are loaded with vitamin C and folic acid that are essential for nail growth. Soaking your nails in fresh orange juice also exfoliates your nails and cuticles, due to the presence of citric acid. Healthy cuticles = faster nail growth. 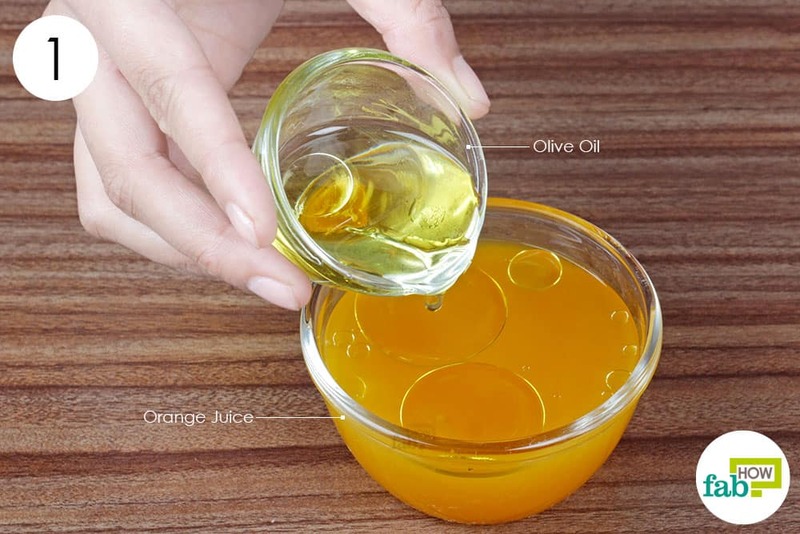 Add 2 tablespoons of olive oil to 1 cup of fresh orange juice. 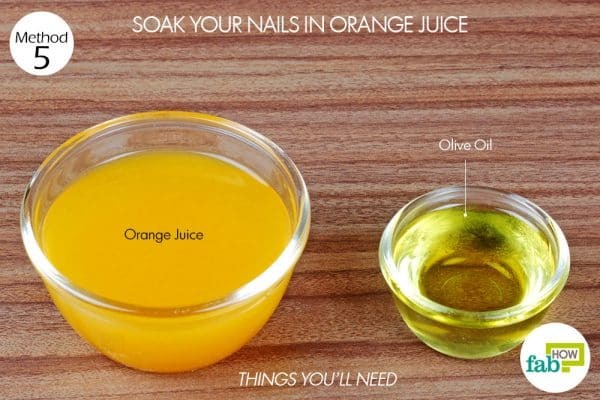 Soak your nails in the juice and oil mix for 10 minutes, then rinse them with water. Repeat daily to grow your nails long and strong in 4 to 6 weeks. 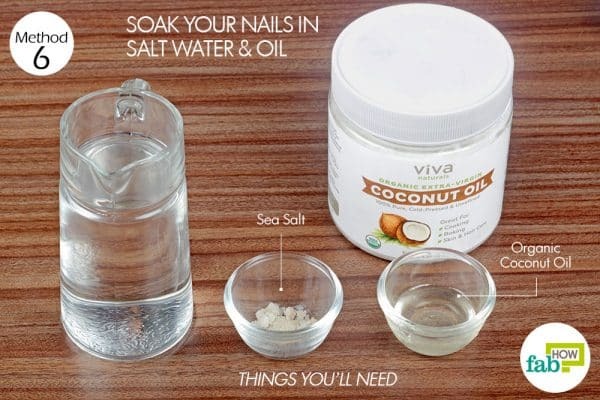 Salt water and oil is a simple, inexpensive and effective remedy to help your nails grow faster. Sea salt helps remineralize your nails, making them stronger. The oil helps moisturize the nails and cuticles. You can use any oil of your choice. We’ve used coconut oil in this example. Pour 1½ cups of warm water into a bowl. Add 1 teaspoon of sea salt to the water. 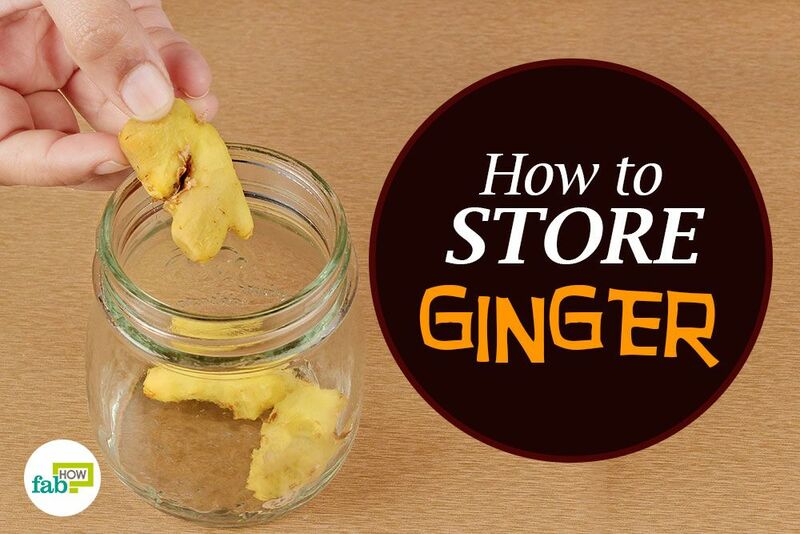 Stir it until the salt completely dissolves in the water. 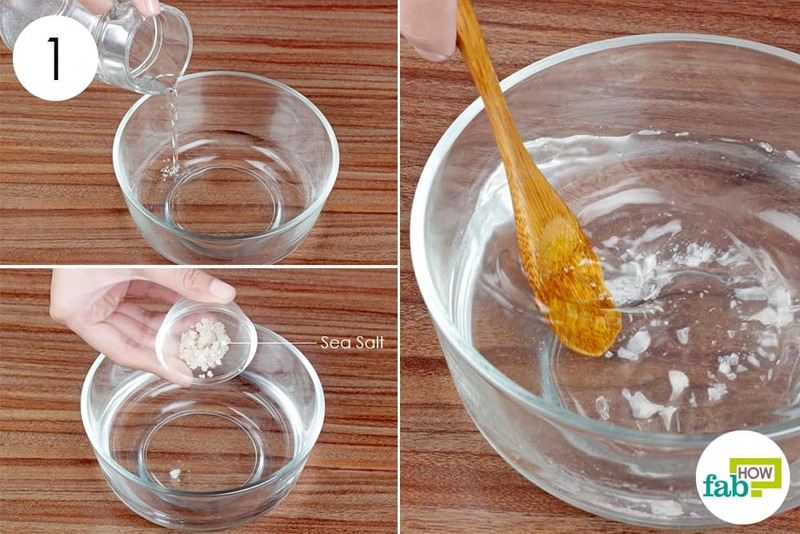 Add 1 tablespoon of organic coconut oil to the salt solution and stir again. 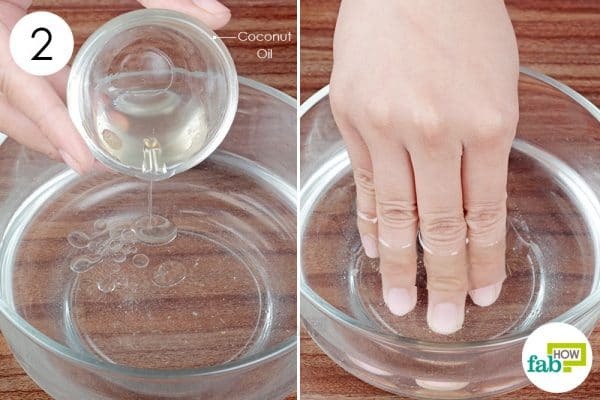 Soak your nails in the solution for 10 to 20 minutes. If you can soak them longer, even better. Rinse your hands and pat dry with a clean towel. Finish up with any moisturizer. 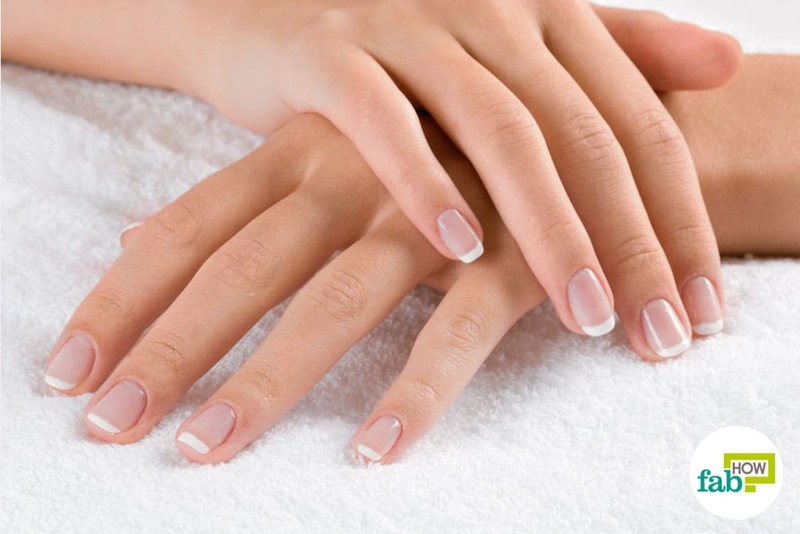 Repeat the process once every day to grow longer and stronger nails in 4 to 6 weeks. In order to get healthy and long nails, stop biting your nails. It’s an absolute no-no. Keep your nails and cuticles dry to avoid fungal infections. If you already have an infection, you can use home remedies to treat the nail fungus. Eat a healthy diet including eggs, chicken, leafy vegetables and nuts for healthy and strong nails. Regularly trim and cut your nails to make them grow faster. Use nail strengtheners for attaining strong nails. These contain keratin protein that is similar to the composition of your nails. Apply petroleum jelly on your nails before going to bed to keep them moisturized. Avoid using nail products that contain formaldehyde, toluene or sulfonamides. Exposing your body to early morning sunlight gives your body a vitamin D boost that your nails need to grow faster. Massage your nails and cuticles regularly to increase the blood circulation. This in turn promotes nail growth. You can also try almond oil, jojoba oil, flaxseed oil and vitamin E oil as remedies to grow your nails long and strong.